I currently do 1-1 training and behavioural work in Cambridgeshire. I offer a Pre Puppy Course, a Home Puppy Course, a Rescue Dog Course and an Intensive Training Programme. I also offer a dog walking service. My name is Chris Rea and I have been working with dogs for the last 5 years. I currently work as a team leader at an large animal charity as part of the behavioural assessment team working and training dogs with behavioural issues on a daily basis. I can offer you friendly and professional behavioural advice for you and your dog, 121 training in your home and out on walks, pre-adoption advice for a shelter and puppy training. Your vet will need to first check your dog first and make a referral for behavioural advice. Clare is a cat-specific Behaviourist who runs a Cat Behaviour Practice offering consultations in owners home in the South East of England as well as consultations by telephone or Skype worldwide. Prior to this she had the privilege of spending seven years working with a world-class cat behaviourist and author. In 2013 she attained her Behaviourist accreditation with Distinction. Before specialising in cat behaviour Clare spent several years working with animal charities, local rescue centres and catteries which reinforced her awareness of the importance of education in relation to cat health and well-being. Clare will treat behaviours including house soiling; urine spraying; aggression; anxiety and any other behaviour that conflicts with the owner's expectations. She is committed to improving the situation for owners and their cats on a long term basis. I have worked full time in Canine Behaviour modification and Training for the past 11 years, both in a Rescue and private client environment. 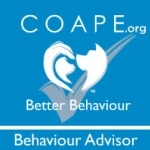 I worked as a educational consultant for COAPE for five years and now provide educational, CPD and training services to different companies including course writing, presentation and training whilst still working as a full time canine behaviourist. I also present seminars at a national level in all aspects of canine behaviour. All behaviour consultations are carried out to highest level of professionalism and include ongoing follow up and guidance to help the owners as they progress with the modification programme. I help you understand your cats communication and requirements to help with issues such as spraying, inappropriate toilet habits, furniture destruction, anxiety and aggression. 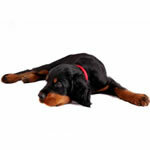 I cover dog behaviour from puppy socialisation, chewing, destruction, anxiety and aggression. Sometimes it is not easy to get to classes so I can provide one to one training learning how to communicate and building up confidence, bonding between you and your pet. As a registered veterinary nurse and owner of several pets I can understand individuals requirements and capabilities and love of having pets in your lives so tailor each programme for the individuals concerned. (e.g. Excessive Vocalisation/Barking, Aggression, House Soiling, Destructiveness & Chewing, Separation Anxiety Related Disorders, Nervousness & Phobias). (e.g. Help with Lead Walking & Control, Obedience Training & Socialisation). (e.g. Thinking of getting a new puppy/dog? Need to know if the dog is suitable to both you and your family). I offer puppy and new rescue dog home visits to get your new pup / dog off to the best start before they join classes. 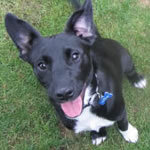 The group classes I offer include the University of Lincoln's 'Life Skills for Puppies' classes and adult dog training. I can also provide 1:1 dog training (at your home or my venue), if you want to get ahead or if your dog is not comfortable in a group class around others. 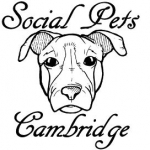 1:1 Behaviour consultations can be at your home (for dogs and cats) and / or my venue (for dogs). All training and behaviour modification techniques are force-free, reward-based and easy to follow. I am also a member of the Association of Pet Dog Trainers and Pet Professionals Guild. I am a fully qualified Centre of Applied Pet Ethology (COAPE) Behaviour Advisor who specialises in canine behaviour and training issues. I have worked with owners and their vets to improve canine welfare over the last eight years. I am accredited with an OCN recognised COAPE Level 3 award in ‘Canine Rescue and Rehabilitation’. I offer personal and considerate one-to-one behavioural support and training for you and your dog(s) in your own home. All the techniques I use are based on the latest scientific knowledge and involve the use of non-aversive, positive-reinforcement methods. This is a fundamental principle that runs throughout all my work. All aspects of your dog’s daily lifestyle and environment, prior history, medical background, nutrition and handling are considered when developing a specific, personalised treatment plan for you and your dog. How can this service help you? I have experience with helping owners with all aspects of canine parenting from puppyhood to senior years, including experience with rescue dogs and dogs with acute and chronic lifelong medical conditions whom require both immediate post-operative behavioural rehabilitation and longer term behavioural support. So, whether you and your pet need training support to walk loosely on the lead or to improve recall, whether you require help with specific behavioural issues such as aggression, separation related disorders, noise sensitivities and phobias, abnormal repetitive behaviours, impulse control and resource guarding then please do not hesitate to contact me to discuss further. I can also help with life stage advice such as helping to develop your puppy into a happy and confident dog, how to survive those teenage years or helping your older dog enjoy and live their life to the full. Behavioural Consultations in your own home or in our purpose built training facilities. Training but not as you know it - at Progressing Partnerships we teach you the skills and concepts needed to develop the best possible relationship with your dog. A good trainer makes himself progressively unnecessary, so we teach you how to recognise what you need to do to turn any struggle you might have into a strength through a series of innovative games. CONCEPT training and Life-skills for all ages and abilities. 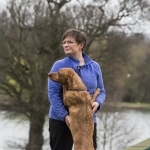 An experienced dog behaviourist and fully qualified CAPBT practitioner. Working initially with ‘last chance’ rescue centre and fearful/aggressive dogs, I now offer 1:1 behavioural consultations and training for dogs and cats. I provide guidance with selecting and introducing puppies/rescue cats or dogs into their new home, preparing them for the best start. My approach is based on positive, reward-based, compassionate practices which is scientifically grounded. Consultations are carried out initially in your own home and backed by ongoing support. I also have over 20 years experience of working with veterinary practices and animal welfare charities around the world on various projects from rehabilitation and enrichment to pain management. Coming soon: puppy and dog classes including the University of Lincoln's 'Life Skills for Puppies’. Meadow Farm Rehabilitation was established in September 2000 by Rachel Watkins. Rachel has 25 years experience working within the animal therapy industry including both small and large animal veterinary practice. Situated in the Bury St Edmunds, Thetford, Diss triangle and being approximately 20 minutes from each town we are ideally placed to offer both Physical Rehabilitation and Behaviour advice across both Norfolk and Suffolk. Meadow Farm first opened to offer physical rehabilitation for companion animals. The centre has since expanded to offer all round care from a variety of highly qualified therapists. Behaviour consultations are carried out, in the first instance, in the clients home,however we also have a specially designed centre that offers both indoor and outdoor facilities for training and confidential behaviour consultations. We offer compassionate, holistic, one to one care that treats each animal as an individual. Please feel able to call Rachel to chat through your requirements with no obligation. 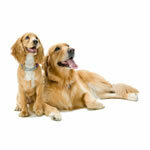 Pet training, behaviour consultations and advice. The Dog house also offers Behaviour Advice for dogs and owners that need a little extra help with more than just basic training. Fully qualified and experienced in dog all behaviour problems, my Consultations are carried out in your own home. Consulting on behaviour problems in all ages. I offer a full training and behaviour program, this means that I support you through the process of rehabilitating your dog. I can also help you with early puppy socialisation and training specific to your breed to prevent problems in later life. Workshops for the rehabilitation of reactive dogs are sometimes available. Breeder of German Shepherds for 30 years, these are my area of expertise. Veterinary nurse, Early Childhood Teacher and COAPE Diploma in Companion Animal Behaviour. "Life Skills for Puppies" classes for puppies under 20weeks. Classes held in secure farm paddocks and indoor areas just West of Cambridge. Examples of unwanted behaviour may include separation stress;resource guarding;fearful reactions;phobias;aggression;inappropriate toileting/spraying. Your Vet will need to check your pet first and make a referral. One to One training sessions at venues of your own choice,e.g. in your own environment, at a training venue or out on walks. I have had fun over the years, competing in Working Trials, Sheepdog trials and agility. I currently have the privalege of the company of a terrier x , a Spaniel x Setter and a lovely old cat called Lottie. Vikki offers behavioural consultations in the comfort of your own home, available on veterinary referral. One to one and group puppy or adult dog sessions, tailored programmes and workshops, setting you and your dog up for the brightest possible future. If you would like to discuss any training or behavioural issue you are experiencing with your pet, please contact Vikki (by e-mail or telephone) to arrange an appointment. Single or small group dog walk & training on request. Personal canine fitness training with FitPAWS Master Trainer, Certified Canine Fitness Trainer CCFT and qualified nutritionist (Cert NUT RQF Level 3). Boarding Kennels. Small, family-run kennels in a rural environment. With just 10 kennels you can be assured your dog's holiday is a relaxed one. During his stay his emotional and physical needs will be fully catered for. We have a sensory garden where your dog can self-select a number of therapeutic herbs, plants and grasses as well as build his confidence over our confidence course. Board and train option for owners attending training with an approved trainer / behaviourist who is a member of the CAPBT or APDT(UK).